If you’re a blogger or a website owner, you’ve probably heard of XML Sitemaps. 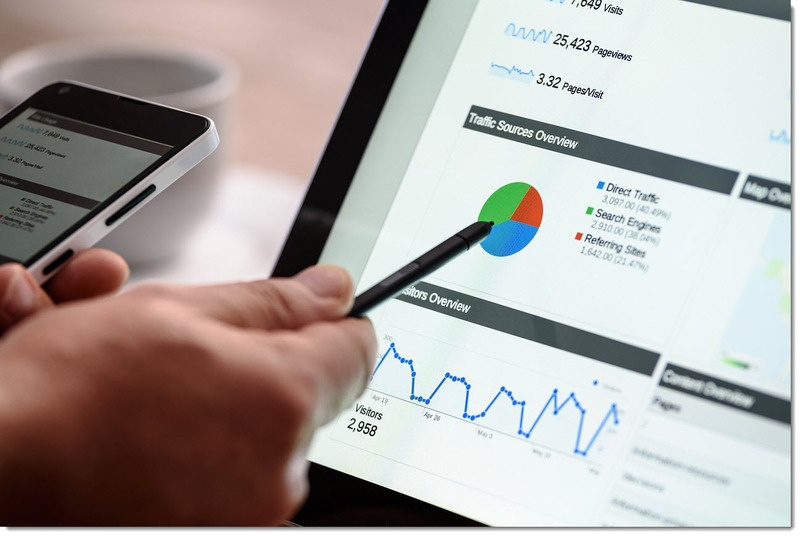 They are the essence behind your website’s success because without it, you’ll be facing major issues on ranking your pages well within search engines. You may have good content but somehow it just doesn’t appear on Google. Sounds familiar? What is an XML Sitemap About? –Asking Google to Come to You. Ever thought of how websites appear in search engines? It’s by submitting sitemaps to Google. A sitemap is basically a list of all your website contents and link. When Google is informed, they will then send spiders to your website to crawl and index. Don’t worry, they are not real spiders, they’re basically robot runners that helps Google automate and retrieve info as there are millions of websites all over the world. Have you watched Marvel’s Agents of Shield? Imagine Google as the SHIELD HQ – That means the spiders are the Shield agents sent on a mission. Or better yet, imagine Google as a beehive – the bees are there to collect resources back to the base. Long story short, the reason your website cannot rank even if it looks amazing, is because it never appeared on search engines. You have a website, yes. But if you were to type it over on Google, you wouldn’t be able to find it even if you’ve searched it up to page 100. This is because Google doesn’t know that your website exists. They weren’t informed of it. So in order to get them to notice you, we need to submit our sitemap to let Google know. Hence to answer the question of what is Google Sitemap, it’s basically a list of all your website content and links which is needed for submission to Google itself. Now that we’ve covered the bigger picture, let’s move on to the technical part where I’ll show you how to submit a sitemap to Google. 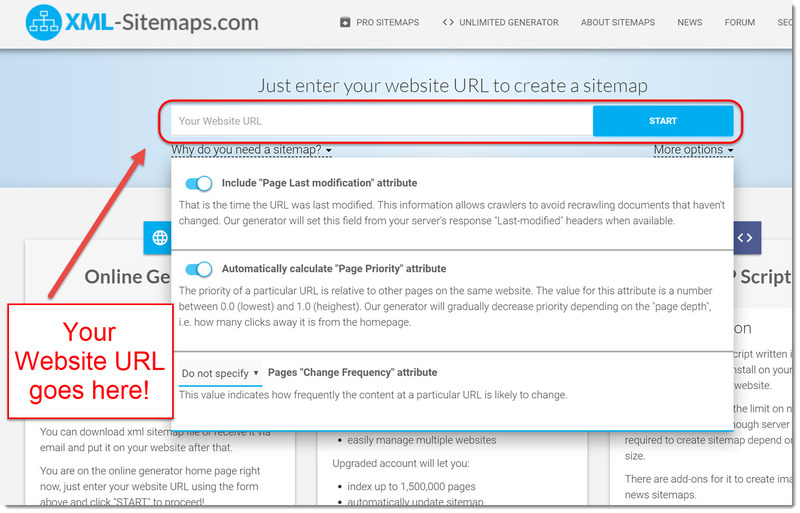 5 Simple Steps to Setting up Your XML Sitemap. I’m using WordPress for this but you can actually do it with any type of sites. Simply go to your plugins installer and search for “Goole XML Sitemaps” – It’s the one with the 1 million+ active installations. There are many other plugins of course and you can choose anyone you fancy but for the sake of this guide, I’ll use the most common one and personally, it’s the one I trust I’ve been using it for more than 4 years. If you have an SEO plugin like Yoast or All-in-One SEO, you can also do you sitemaps from there but some website themes might restrict this (Like this blog) so because I am unable to access those features, I install a separate plugin instead. And plus, it’s much easier and more detail. Step 2# – Getting Your Sitemap Link. Once you’ve installed an activated it, it’s time for setup. Next, we go to the tweaking part. Once you’re here, you can see your Google XML URL already at the top. You’ll need that to submit to Google but first thing’s first – we need to do some configuring. This is so that once you sent your link, not only Google received it but rather the other search engines like Bing. It’ll help you save time rather than doing for all three search engines. 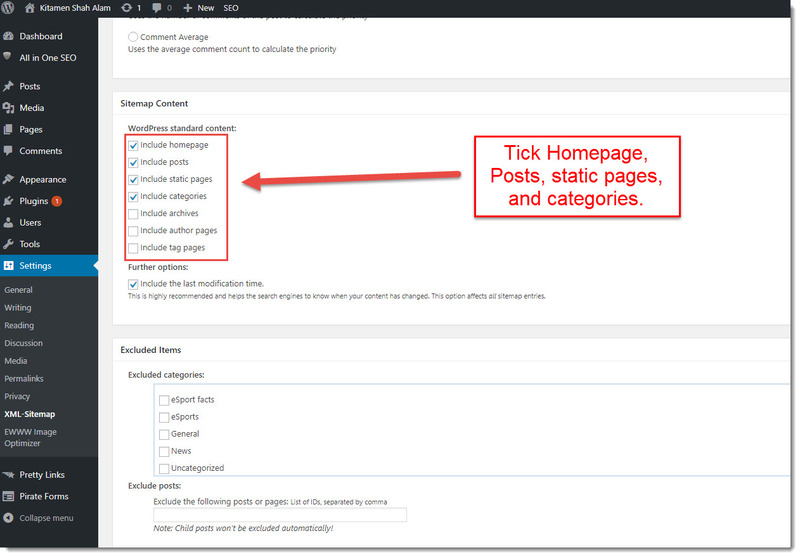 Under “Sitemap Content”, tick Homepage, Posts, Static Pages, Categories. You may leave Archives, Author pages, and Tag Pages blank because those aren’t really important. If your website focuses on good content, it’s better to leave as it is because you wouldn’t want those tags to rank more than your actual page or posts. The “Excluded items” part should definitely be blank. Some website owners have hidden pages that they do not want to be ranked because those are usually made for special offers like promotions or eBooks so for that they usually use special links. If you write blog posts every day, you might want to change the “Posts” from Weekly to Daily but other than that, you can simply leave the rest to default. Once everything is complete, click on “Update Options” and you’re good to go. 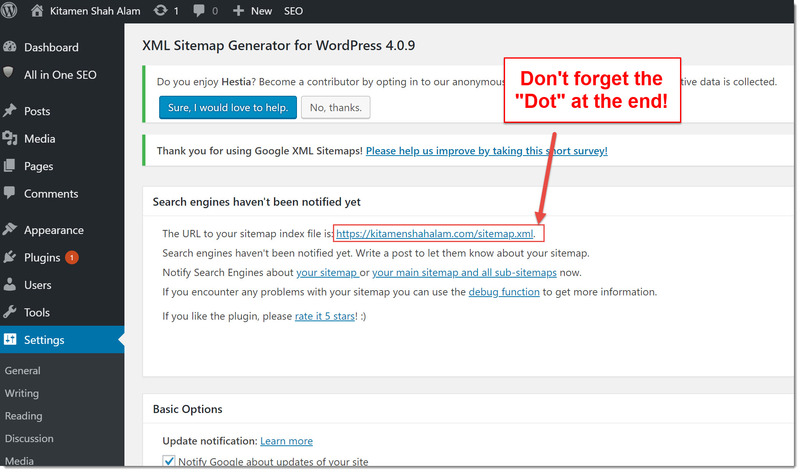 You can skip this step if you already have linked your site to the Webmaster Tools. Oh and just so you know, Google Search Console was also known as Webmaster Tools previously, for many years. They wanted a fresh look on things as they have bigger plans coming for us website owners and bloggers but personally, I think they should just maintain the old name because it causes confusion to many, wouldn’t you agree? First, head over to Google Search Console. From there, click on “Add Property” where you’ll need to key in your website name and afterwards, click on verify. Once you’ve clicked on verify, you’ll be shown a page whereby you can choose different methods of verification. Although there are various methods of verification, don’t worry because the Google verifications codes remain the same – All you need to do is to paste that into your site so that Google knows that you are the owner. One of the simplest ways of verifying is to simply get the HTML code and paste it under the Header part of your WordPress Editor. However, this is also a risky move because you’ll be tampering with your website’s CSS so unless you’re confident in what you’re doing, I wouldn’t advise you to even touch the Editor part. If you want a different method of verification without all the technical mumbo-jumbo, you can do so using another plugin – Namely Yoast or All-In-One SEO plugin (The one I’m using). Most websites have at least one of those SEO plugins so if you have installed it already, head over to the All-in-One SEO General Settings and from there, scroll down until you see the Webmaster Verification section. 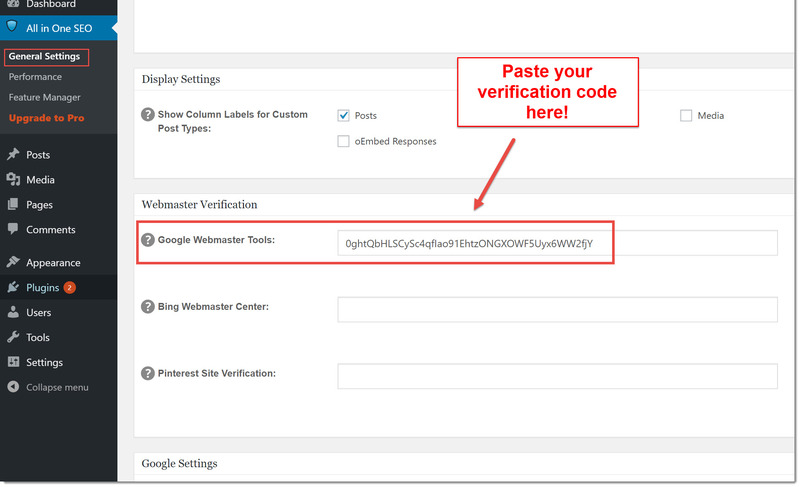 Remember the verification codes that we got from Google Webmasters earlier? You need only to copy the code in between the apostrophes to add into the All-in-One SEO. Instead of copying the whole entire thing back to the Aii-in-One SEO plugin, only copy the XAXA part because that’s the actual code. Once you’ve gotten that down, click on save and head back to the Webmaster Tools page to verify and you’re done! If you’re still a bit blurry on the verification part, here’s a short video to show you how. Step 5# – Time to Submit! One last step to go and this one’s simple. All you need to do is to get your XML Sitemap link, and pasting it back onto Google Webmaster Tools. On the Google Webmaster Tools dashboard, click on “Crawl” and from there, click on “Sitemap” where you’ll be brought to the submitting page. As you submit the URL, be sure to type in “sitemap.xml.” and you’re good to go! Be sure to test it out first to make sure your link works so there you have it, your sitemap is safely submitted and now you can breathe easy and relax! One easy traffic hack I’d like to share is to make sure you do this once in 2-3 months for so that Google will crawl your site and pages again. It would help rank your pages even faster if you were to update your other posts and pages before submitting it again too because Google can also detect that. If you update your old posts, believe it or not, Google will give you a plus on SEO as they see that you care about your content enough to update it and not leaving it dead. What if I Don’t Want to Install Any Plugins? Maybe you got turned off looking at how complicated plugins may be. Although it may seem easy, submitting a sitemap can be very annoying if you’re stuck at one point and when you do, it can be very frustrating that at one point, one can ask if he should be giving up or not. I’ve been there. Google XML Sitemap is an important part of web pages even until now and it is such a huge thing for your website’s success that it’s hard for us to ignore. If you do not want to install any plugins or if you’re not using WordPress at all, another alternative would be by submitting it through a website called XML-Sitemaps.com. There are a few packages there ranging paid to free, but the free version should be more than enough as it is because it can cover up to 500 pages. The paid versions are for veteran Internet Marketers or SEO firms who handle multiple websites every day as part of their service or those that have more than 500 pages on their site to index. All you need to do is to key in your website URL there, click on “Start” and voilà! Instant sitemap for you. Some websites may be a bit strict when it comes to sitemap submission. I’ve personally come across several problems when I tried to submit my website which can be really annoying because you have to waste more time trying to solve that issue. Some themes can be quite strict and a tad annoying (Like mine). Try to change themes temporarily and see if it works, or create a dummy website if you do not want to go through the trouble of re-arranging content after switching themes. Sounds familiar? I got this at first too. Believe it or not, there are no huge problems that need fixing on this one because the problem source is exactly as the notification tells you – It’s from the URL. How to solve this is simple, all you need to do is to copy exactly the URL from your XML Sitemap plugin because you might forget the “Dot” at the end. If you are using the Google XML Sitemaps plugin like I am, you might notice that there is a dot at the end of the URL. Many people actually mistook that as a full stop sign so we ended up copying everything except for the dot at the end but really, that dot is the last piece of the puzzle. However, bear in mind that different plugins will create different URLs for your sitemap so be sure to copy the full link generated. Some plugins might alter another plugin’s effect as how I’ve experienced with my Contact Form plugin. If you have a lot of plugins running, try and deactivate one of them and see if it works. Another case of plugin conflict would be between the All-in-One SEO plugin, and the Google XML Sitemaps plugin whereby one works, while the other doesn’t. 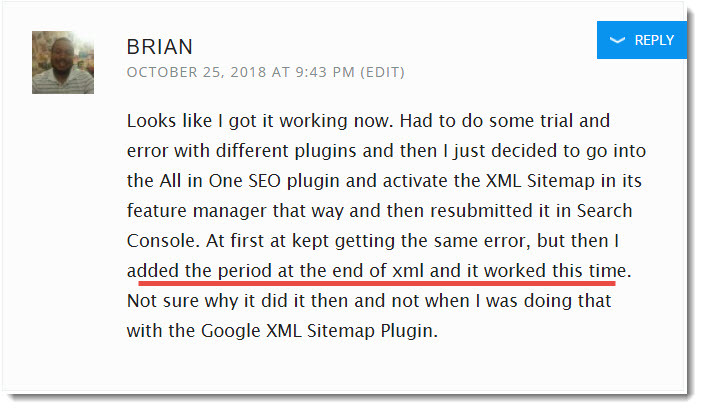 A friend of mine Brian had the very same problem so he fixed it by using the All-in-One SEO plugin first and when that doesn’t work, he then switched to Google XML Sitemaps instead. He tested out the URL again from sitemaps along with the full stop symbol at the end (Many forget this part) and he solved it already. There are a few reasons as to why this happens and the first is because of the conflict of plugins if you were to install both All-in-One SEO and XML Sitemaps and use Sitemaps from both to submit which would result in a conflict. Another reason would be that the sitemaps took a while to load, sometimes a few hours and in certain cases, a few days so if you’re patient, you can wait a while before testing the plugin again. Be sure to test the link first to see if anything loads up and if there’s an error, that means it’s probably not working yet and you shouldn’t waste your time submitting it to Google just yet. Complicated, I know but once we’ve taken care of the problem, we won’t have to ever think of it again. New websites won’t have this problem because they are fresh and have no contents. But if your website is an old one with hundreds of links going on, the sitemap might take some time to generate. You should give it around 10-15 mins or so before you submit the sitemap again. Want to Bring Your Site to Greater Heights? -Learn More SEO Hacks! Getting your site indexed is one thing, getting it to the first page of Google is another. When I first started blogging, I had no idea on how SEO works nor did I even know how to do it. I joined many blogging programs but most of them were scams and that’s not the worst part. 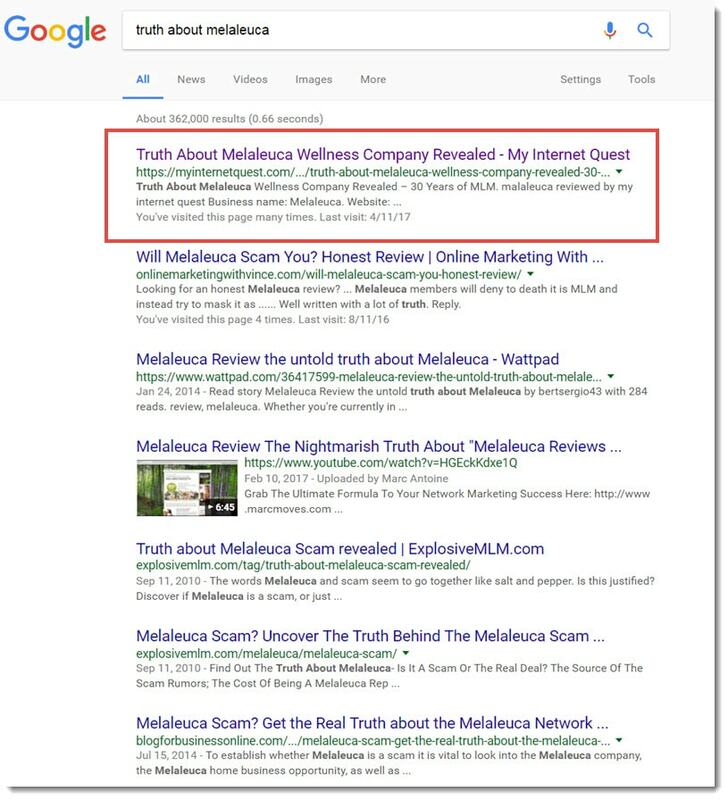 If you were to do SEO the wrong way using black hat techniques, you can end up hurting your site rankings even more and Google can be very unforgiving. That is, until I came across Wealthy Affiliate. WA is an Online Business platform which not only provides you with basic to advanced SEO courses, it also helps you to boost your rankings even further with their fantastic keyword tools and website speed accelerator. Back then, none of my pages ranked well even though they are already indexed by Google but after implementing their lessons, most of my pages are now on the first page. They have everything you’ll ever need to help get your website that winning traction but personally for me, the most powerful feature is not those high-tech website tools – It’s actually the community itself. One of the many reviews I made which got top page. There are plenty of warm friendly bloggers ranging from newbies who just started, all the way to senior members who have been a part of WA for over 10 years and having the opportunity to interact with them is like having your own golden goose. They share plenty of SEO secrets that they come across throughout their time blogging and you get access to all of those anytime you want. SEO is a living breathing creature – It is constantly evolving so no same strategies will work after a few years. That’s why you should never be alone in the Online Business world. Setting up an XML Sitemap may be a daunting task but it’s actually pretty simple. All you need to do is to get your link first, edit it so it can start automating the process itself and from there, submit it to Google Search Console so that they can do the rest. It’s only complicated if you have some minor errors here and there which may be a tad annoying but I’ve laid out some fixes to those problems which should suffice. If you’d like to learn more awesome SEO strategies to propel your website even further, check out where I learned mine from my top recommended program here. Thanks for reading guys, let me know if you have any further questions down below. Toodles! This is a great informative article about XML site map. After reading your article, I have learned the importance of XML site map. I love the technique of using word press XML site map plugin. I am going to use it on my website also. I know that many people don’t know the use of the XML site map plugin. I am going to share this helpful article for my other’s blogger friends. I believe that they will also find great help from your article. Thanks for writing this helpful tips. Hi there. Im still new to this and your site is what I’ve been looking for. The part where I cant find my site on google is exactly the problem Im facing now. How ever the detail step help me setting up my site. I like how you provide image together with video to show the process. It was definitely helpful. How long does it take for you to finish processing data on the search console? 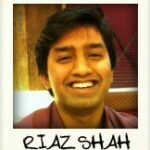 Hello Riaz! Thanks for this informative article about XML Sitemap. At first, I really don’t know what it is. After reading your article, it found it is significant for SEO purposes. Thank you for adding details, which I’ve just read or heard about XML Sitemap. I just have some questions. Do I have to submit my URL sitemap at Google Search Console every time I publish a post? How frequent will I submit my URL sitemap? You only need to submit your sitemap once, Lanie. I’m glad that you covered this topic. This is what I needed most right now. I have to try several tutorials for the past few days and I can’t able to make it. The point is well analyzed and comprehensive enough. It is very informative and easy to follow. You got me laughing when you said, ‘don’t worry, there are not real spiders.’ Billions of people use the internet daily for different purposes, though mostly for information, and it is a good idea to have a website with valuable contents. I have followed the steps outlined for WordPress. I want to know how this can be done for a site built with Joomla. I have built a website using Joomla for a client. So nice to have an easily consumable explanation on XML sitemap for beginners. I got really confused the first time I came across xml sitemap and how to submit it to google. As was said in this post, it is easy and it is the best way to tell google that your site actually exists. Without it, you might as well be depending on other sources of traffic other than search engines. You got that right, Jay! This is such an important step that when easy it could be complicated and you’ve done a fabulous job walking us through what an XML Sitemap is and how to set up your website for success. I really enjoy the videos as they are easy to understand and easy to follow. Pleasure’s all mine Carmen & Ben! This website is very informative as it give you a walk through on how to set up XML Sitemap through wordpress. It even gives video instruction and wonderful media content to walk you through the process necessary to install this plugin to optimize seo. Great Job in this article! I’m finding it very resourceful and helpful and I might haveto use this advice for my website. Powerful subject! I did not know about XML site map up till now. There is a great explanation you have given on your site. You have guided us hand in hand which will help us to index our site on Google through which traffic on our site can be increased. I want to ask that if we go on adding the posts OR change the appearance of our site then what????? Is it neccesary again to create site map again? Please clarify. Thanks & All the BEST! Keep up the good work! That’s not necessary Chandra, you need only do it once and after that, you’re good to go! Hi Riaz! Submitting our sitemap is important. And I appreciate you have taken time to explain not only one way of doing it, but presenting all these different options. I’m not so picky about installing PlugIns, so I’ll go with the first option you mentioned. But it’s good to know there are alternative that don’t involve installing a plugIn. Thank you very much! Really this is an amazing article. I like this article very much. I have heard a little about this XML sitemap that this is a very helpful for a new Blogger.I have also ranks problems though i have write a good content.One of my friend suggested me to Setup this sitemap but i wasn’t proper learned that how it does work.so,in this regard i was looking for a proper guideline.After reading this article i have found the perfect guideline for me and i have learn properly how should i Setup my XML sitemap.I will follow your 5 steps that you have mentioned avobe.I have also gained all the details of this XML sitemap. I am going to share this great article with my friends and relatives so that they can benefited from this. No wonder my friend’s website never ranked on Google for a long time now he started blogging. I felt is because there is no XML sitemapa because I have heard little about it before but did not actually know what it means. Your article has now made me to understand all I need to know about xlm sitemaps and that’s the basic reason my friend’s website never ranked on Google. Thanks so much for this amazing article. Kudos for posting this article on XML sitemaps. It seems the role of XML sitemap in website can not be overlooked. This will be essential for me when building my website and as well useful for bloggers. This will make it easier for search engines crawlers to access the content of a blog site. 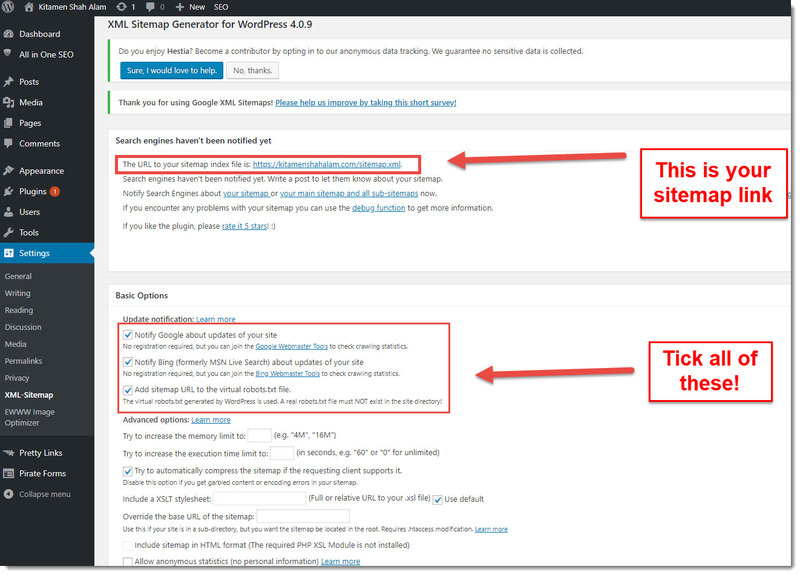 The five simple steps in installing a sitemap is appreciated. Thanks for your the review. Great information! This is a concise and enlightening content on what XML sitemap is all about. I love the way you carefully explained the steps to set it up, it’s quite understanding. I found the post very detailed and Informative. So many useful tips all on one page, wonderful! I bookmarked to look further. This is an eye opener for me as I am just getting to know more about blogging. I can attest to the fact that I learnt alot from this article. This is a great information and tutorials that every newbie in blogging should know. Thanks for writing out this lovely article and I must say its a must for everyone to read and digest. In this detailed and thorough post you explained it very well with step by step instruction and images about XML sitemap and how to submit it to Google search console which is going to be a greater help for many. I strongly believe this post is going to save people time, effort and struggle. How I wish I had found your post sooner when I first started! I had to go through the old way of trial and errors and spent nearly 3-4 days. That means a lot to me coming from you Paul, thanks! Best wishes on your site growth! This is going to be one of the new equipment for the SEO part for my website after completing the content. 🙂 Getting ready also means well equipped for the journey. Right? A great tutorial post for getting XML Sitemaps. I am very much sure that I am going to stuck about this XML Sitemaps in the near future. I am lucky that I come across this post today. Thanks a lot for sharing this article. Definitely Ranao, good luck on your site growth! I really love the information and education that bloggers like you are providing for new bloggers,those of us who are now trying to walk this road that you’ve walked, sharing your knowledge and insight. Now,without paying a dime,I know what sitemap is and can easily set it up on my website just from following your write step by step. And if I getbstuck,I can look use the troubleshooting provided. I’m usually grateful when I remember that some of you didn’t have the opportunity to have these types of guide when you started off. I can’t wait to give back just like I am being given now. I was in the same road and at times, still am Vapz. I live sharing what I learned to help out other people like me to avoid these minor troubleshoots, glad you liked it! Thanks for this informative and amazing post, it appears to be that Sitemaps are very useful for new websites and blogs. As most new blogs usually don’t get many backlinks to their individual posts, it becomes harder for search engines to discover all of their posts and pages. Sitemaps allow those websites to help search engines crawl their sites more efficiently so it can be indexed properly. definitely going to setup as soon as possible. Much appreciated. Glad you found it helpful Seun! Wow, what an awesome guide! My sister just gets started and I never had the time to explain to her in detail what is exactly a sitemap. Well, to be honest, I could not have explained it the way you did:) So I am glad I found your article. I am going to show this post to my sister right away. I do have a question though. Google cannot read some of my categories, is this can affect my ranking? Hi Riaz, thanks for this. I’ve got the Google XML Sitemaps plugin and I submitted my sitemap to Google ages ago. I don’t know why, but I didn’t do the same for Bing so I realise I should do that now. Can I submit my sitemap to Bing via the same plugin? It’s been so long since I did it the first time I can’t remember. Thanks Riaz. You are a fountain of knowledge with XML sitemaps and I feel like I’m a bit clueless with this particular topic. Thank you. I was indexed by Google pretty fast after starting my blog. So, I think my site map was automatically submitted to them without my knowing how it was done. Although, I wondered about it, I didn’t really make research about it. Anyway, I am happy I came across your post, because now that you mentioned that we can submit to other search engines like Bing, I am interested in doing so. I’d go follow your guide and spread the presence of my website around! That means your site has some pretty amazing content not to mention your posting might be been consistent, awesome to hear that Peace! Great article, I have always wondered why I am unable to get my site to rank on SERPs. Now I know, must be because I have not submitted my sitemap to Google. I like the way you used agents of shield to explain it, very easy to understand. I will follow the processes you’ve outlined, and if i hit a snag, I’ll be sure to let you know. Thanks for helping out, you did an amazing job on this article. Glad I could help out Ajibola! All of this blogging technical stuff seems overwhelming and I heard about having an XML sitemap but have been trying to figure out what that is. I’m glad I came across this post as you made it very simple to understand. I will follow the five steps now and make google work for me instead of the other way around! All in a day’s work Barry! Amazing how you covered this topic, which is usually one of the hardest when come to XML.Sitemap and made it so easy to understand especially with the step by step guide and the videos. You also have explained in great detail the 5 main problems and how to fix them. A big thank you for your efforts to help those have struggle with XML.Sitemap. Do l need to submit my newly published post/page to fetch as Googlebot every time and at the same time to submit the sitemap? 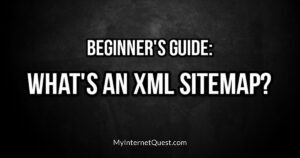 Thank you for this helpful article and l will pass it to those who have trouble with xml.sitemap. For the Fetch feature, it’s not necessary but it would greatly boost your indexing speed Shui. As for the XML SItemap, it’s a one-time thing. Hello Riaz! No wonder many bloggers quit blogging because of ignorance to stuffs like XML Sitemap. I must confess that this guide is one of the best guide to Setting up the Site Map accurately. I love it that you also included problems that we could encounter a how we can fix it. Thank you so much. Thanks so much for those kind words Barry, appreciate it! An hour’s a great time frame Victor, for some people it would take longer. Glad you were able to get it fixed! Having XML Sitemaps is a really good idea if you plan to use your website for any kind of business ventures. The information available from the webmaster tools at Google are a lot of help. It looks like you have provided a a lot of information on how and why to have the XML sitemap and submit it to the biggest search engine on the planet. No doubt about that Rich! I am so glad you created a post on an xml sitemap. When I first created a website, I had no idea what indexing, ranking, or sitemaps were. I searched all over the internet to figure out how to get my site to appear on the first page of google -and a xml sitemap was the key. I love how you broke down what it is and how it works, as this is the best breakdown I have seen out there. Since implementing my sitemap, all of my posts are getting ranking and I am getting far more traffic on my site. Great post and insight! Awesome to hear that Craven, I felt the same way too when building my site so I tried detailing the steps I went through for others who might be experiencing the same if not similar problems as to what I was facing. Appreciate the super kind words, hope you have a great Friday ! When I first started blogging and heard about an xml sitemap, I thought what the heck is one of those!? Lol. But with that said, the whole concept of SEO confused me. But now, with a little more blogging experience under my belt, having an xml sitemap really is crucial to have in place. Not just for helping to improve ranking positions but if there’s any part of your site that has errors, whether it’s sitemap errors, 404 errors or other any other, Google lets you know about it inside the search console. I also LOVE the fact that you can get some awesome insights into your website, especially when it comes to the keyword terms that generate traffic. From the 5 steps you’ve highlighted for getting an xml sitemap set up, it really is child’s play. It’s funny how just one SEO type of plugin and doing a few simple steps can help make the world of difference when it comes to ranking positions in the search engines and a website that runs smoothly. Don’t you agree? It’s also funny that you should mention the problems because I also had the same problem with no urls in the sitemap when I set it up for my latest website. It actually turned out to be a conflicting plugin which I just toggled on and off again which did the trick. I didn’t expect the sitemaps to be a big thing until several months onward after I’ve posted good, rich blog posts but my ranking wasn’t as high as I expected. I then started tracing back to see if I did anything wrong when I was starting the website and I realised finally that i forgot all about submitting that sitemap so I quickly settled it. Appreciate you dropping by again, hope you have a great Monday! Been using sitemaps for years. I use Yoast which is an awesome plugin for SEO and automatically builds your sitemaps. Then, I submit it to Google and it helps Google crawl my site quicker. However, I have a question for you. Do you ever submit your sitemap to Bing and Yahoo? I have heard Bing has been growing on Google. Do you think it’s worth my time, though? Yes I did, Garen. If you haven’t done it yet, in time Bing will pick your site up as they follow Google but for a faster pagination, submitting your site straight to them works too. Wow! It was a long post to read but very informative. I never realised that it has so much importance in building a website. I installed XML sitemap on my website by following your method and it was quite easy and fun. My website is new(only 6 months old) and I barely see regular traffic so what should I do it get traffic fast on my site ? Keep creating content consistently Sanjay, and you’ll start seeing a rise in your blog audience. Wow, I’ve never heard on XML Sitemap but obviously it is very important tool for getting google ranking (which I’ve been struggling with and I didn’t knew what was the problem). You guide is great and the YouTube videos are very helpful. Notice that the search console was updated so it looks a bit different from your pictures, it doesn’t have the “Crawl” menu. In this case there is the option to go back to the old menu and then it will look like yours. but I went back to the old version because I’m quite used to it already. It’s basically just the same with the new version and you can actually click on “go to the old version” if you feel like the previous version is better, Google’s flexible like that. I am a beginner at blogging and at this stage getting my website set up. The sitemap information helped me to understand why it is important to have it installed into my website. Now that I have the XML Sitemap installed and signed up for Google Console, I just need to know how to interpret Google Console’s info (another beast to slay). What is even more surprising than finding out how important XML Sitemap is, that’s finding out how informative your site as a whole is. I came to your site looking for one thing and got so much more. I bookmarked your site as a valuable resource. As a new blogger I am inspired by your content. Will you ever create a tutorial on how to interpret the Google Console data? Or, what should I focus on within the Google Console in terms of data? That’s an excellent idea, Dwilli! Interpreting Google Search Console, here we go! I’ve been wondering why it seems like Google just isn’t picking up my site the way I want it to. Can you believe I didn’t even have an XML sitemap submitted with Google Webmasters? Just my luck. I’m going to get this done right away and hopefully start to see Google visiting my site more often. Glad I could help Brandon! If All-in-one SEO works fine, there’s nothing to worry about Lev. Knowing how to submit your XML sitemap will make your webpage more successful in getting visitors. It is a crucial part of making your website visible to search engines. It may seem daunting at first, but it really isn’t that hard, with a plugin. I opt for the plugin method, because I spend a lot of time creating content, and don’t want to be bogged down with trouble shooting. Great article, simplifying a complex subject. Cheers! Awesome James, thanks for the feedback! I’ve known that an XML Sitemap is important, but I just did not know how important it was and your article has opened my eyes on just why it is probably the most essential thing for your website in order to get rankings. I didn’t even realize that on my second website, I didn’t have an XML Sitemap at all and so I immediately installed the plugin Google XML Sitemaps. I followed the videos on your article so that I’ve got it submitted in Google Search Console, but I’m still having an issue or error. The part where you put in the destination or url for your site’s xml address keeps giving me an error and I put in at the end the sitemap.xml. like the video said and still get the error “Your Sitemap does not contain any URLs. Please validate and resubmit your Sitemap”. Any idea why this still might be happening? If you’re using the same Google XML sitemaps plugin, the sitemap URL should be the same for everyone’s website, with the only thing different being the domain. Have you tested the link first before submitting? I don’t quite understand what’s going on especially since I never encountered this problem with my first website. Although I will say my second website doesn’t have a whole lot of content on it, say around 11 posts or so, but that’s why I want to get this XML Sitemap working because I’m finally ready to post new content on it on a regular basis. Looks like I got it working now. Had to do some trial and error with different plugins and then I just decided to go into the All in One SEO plugin and activate the XML Sitemap in its feature manager that way and then resubmitted it in Search Console. At first at kept getting the same error, but then I added the period at the end of xml and it worked this time. Not sure why it did it then and not when I was doing that with the Google XML Sitemap Plugin. Awesome to know All-in-One SEO works for you Brian! It didn’t for me and I had to keep testing until I found the solution but for your side, I can’t really say what the cause was but I’m guessing that there might be some minor error while the sitemap was being loaded. Thanks for sharing the answer, I catalogued the blog post and added your issue solve as well in the content. Hope you have a great day! Great to hear that, Paul. Thanks! Nice article about Sitemaps. I think you cover almost everything. It can be a very frustrating procedure if you don’t know what to do and for beginners this will definitely help a lot. I would like to add that in my case I came upon a different problem from the ones you mentioned. Although I generated my sitemap to the instructions in WA when I was submitting it to search console it could not find any links and would show as empty. After lots and lots of frustration I found that simply renaming the file to something different than just sitemap.xml would do the job just fine. I renamed mine to sitemap-index.xml and it is working fine since then. You could add that as a potential problem to your article. Renaming a file, eh? Wouldn’t changing the given link affect the URL? I think this is one of the very best posts I have ever seen about this topic. And it is a really important topic and the way you explain it is really easy for anyone to understand and the use of images extended the help. I have been blogging for many years and I am familiar with XML sitemaps, but I could not help check my sitemaps were all ok.
Do you have other guides like this on other subject? Glad you liked the article Tim and yes, I do have other blog posts which you could check out on my blog. Thanks, lots of information here and I am book marking it. When you are actually, physically, working on the computer and trying to install plugins etc. you need a guide through and yours is excellent, you are obviously very good with all things, technical, websites and online. I do have all in one SEO and I am happy with this at this stage. Hi RiazThanks for this great article and The timing of your article couldn’t be better! If I may ask, how many weeks does it takes for google to start to rank our article that we have just published? Maybe I have to start using XML sitemap to fast track my article to get notice by google. It takes a few days for your page to get indexed Glenda, and when it’s on search engines, ranking depends on your SEO. I might just have to make a copy of your post to keep by my computer! Not only will it remind me of the sitemap process, but a friend wants me to help her get her blog set up so she will get ranked by Google. This guide would be a really good one to give her. You are very thorough, and I like that. Very good job, young man! Glad I could help, Fran! Let me know if you need help with it. Your guide could be very helpful not just for beginners. I spent about half an hour for reading and checking my own sites and found that all in all I am building my site in the right way. Correct SEO is one of the main cornerstones for successful website building. I have some customers in my Latvian sites, and your post is almost a perfect learning lesson to forward them. Awesome to know that Andrejs, thanks! I’ve bookmarked this page Riaz, as I didn’t have a chance to go through this thorough, but it’s definitely something that I need for my website. As a website owner and an internet marketer, this is something that I have heard of but something that I haven’t implemented yet in my website. I know my theme is a tad annoying sometimes, so maybe that might be a restriction but will look into it later in the evening. I’ll keep you updated with how things go as I install it in my website. Thanks! This is an intense teaching on sitemap.xml. My first problem with this was that I couldn’t find my sitemap file. I tried every way to find the solution, including going to another site and it didn’t work still, until I went to Wealthy Affiliate support. They made the solution without any problems at all. I think the support help must not be neglected for they hold most of the site’s life technically. Nice reading your posts, Riaz. Good to know you’ve sorted it out, Eli. This is some great information laid out in an easy to use format. Thank you for doing that. I had a few of the steps done but found the ones I had been overlooking. I had a site map question. Is the sitemap only for getting indexed or will it also affect your ranking overall for your posts? I have one that is indexed but it isn’t getting any traffic from google. I was wondering if doing each of these steps will help me with getting trust from google so my site will rank higher overall. Getting indexed will get your site better rankings but how your post grows, is depending on the content you write inside. You’ll need to write a content that needs to be at around 2k worth of words, the title needs to be keyword-researched, and of course in order to make people read, it needs to be readable without many promotional links. Competitors also play a role not to mention your website’s age as well. Thanks a lot for the information. I am in the initial phase of starting up my blogging website and therefore I don’t know much about this field but I will learn gradually. I have heard about this xml sitemaps but never understood its importance but after reading this I understand it is one of the most important step in order to rank your post. I will definitely set it up for my website. Are their any more tips you want to give me apart from this as I told you I am very new in this field. There are a lot of tips that you can fin on my blog, Hari. You can check out my other blog posts and if you cannot find an answer, Google has always been helpful. This is a pretty straightforward guide on how to setup an xml sitemap, which is of course very important to get your site indexed in the search engines. I personally use the All-in-One SEO plugin which works good. Thanks for also mentioning an alternative if you don’t want to install another plugin. I didn’t knew about that one. Glad I could help Jurgen, All-in-One SEO trumps all. Oh wow, FINALLY! Do you know I have been trying to verify my site for several months, and I have never had luck until now. I followed your detailed instructions, and I am so grateful to you that you published this article to help us out. Amazing. I tried the WordPress instructional videos and some things I found on Youtube, but your instructions were the first ones I actually understood that worked. Wow that means a lot to me, thanks Babsie! Many videos show similar ways on solving the sitemap issue but some of them doesn’t work for me which is why I decided to create my own and show you guys first hand on how I did it, glad it helped! Thank you, thank you, thank you for this!!! The whole thing of sitemaps was too complicated to understand and I’m glad I came into your post, I just followed your step by steps and I did it 🙂 you saved me! Hello RIAZ, thank you for your information about XML Sitemap. I am building my website and i don’t have much knowledge about building Website ,i just follow the training .With your post i now know that i will have to set XML Sitemap to my website to be known by google. Hi Riaz, good read and detailed explanation as well as tutorial. I use Yoast to generate my sitemap. Is there any difference? Is it better to use a dedicated plugin for that? Also, that are your thoughts on tags? Some say use it, others say don’t. I’m just confused. Sometimes my tag page tank higher than the actual post. Really annoying! Are tags useful to target keywords? Looking forward to your thoughts and thx for sharing. Tags are useful of course but it can later on affect your site in the long-term because instead of getting high rank for your topic on Google, you’ll get a tag ranking higher than your site which doesn’t look too nice. Some people do not mind the free traffic especially if your website is just starting out but for most of us, it doesn’t look neat and will affect our SEO for the main content. Great! Although I have used, and submitted an XML Sitemap before, I didn’t really know why I was doing it or what it means. Thanks for helping me understand! Very handy to know, indeed! Is there absolutely no way that a site will get ranked without submitting a sitemap, or will it just take much longer than with a sitemap? All sites will get ranked eventually but it won’t rank as fast those who do submit their sitemaps to Google. Very interesting – so this sort of coded sitemap will maybe boost your appearance in the eyes of Google? The steps to setting up this plugin for WordPress don’t look too difficult – but I’m wondering if this is a ‘set and forget’ system – once you’ve done it once…will it continue submitting each change for you? Unfortunately, it won’t automatically submit the changes for you. In some cases, Google will index your page again when they notice some major activities happening there so usually after a few months, you could resend the sitemap again if you have any further updates on those original pages and posts you’ve created. Hi Shah,I really love your Agent’s shield analogy for the google bot,It really paints a clear picture of what is going on behind the scenes. I learnt about the XML sitemap in WA training and since I installed the plugin, my content started getting indexed which is quit an achievement. I also submitted my xml sitemap to bing webmasters but for almost a month now,none of my content has been indexed there,what do yo think about this? Anyway,thanks for the really detailed procedure on xml sitemaps. Hey Larry, have you tested out your Sitemap link first before submitting it to Bing? It shouldn’t take a few months though, at most it’ll take a week or two. Sorry to hear that you went through all that 404 error Jim, it can get very frustrating. If you have already submitted the Sitemap, you wouldn’t have to worry about it anymore as it does the same thing. Just today I started learning more about xml sitemaps and having it implemented onto my site. But, I have to say you covered pretty much all the bases and laid it out very well. I definitely think this whole article has so much value and it was very in depth. Thanks for sharing it was a great read I hope to see more informative/helpful content like this! Glad to know the article was helpful Ryan, thanks! Very nice article. I have a small business website that at is need of an XML site map. I have done SEO scans and they all say that not having a site map is an error. So I guess I really need one. I didn’t know that a plugin was available to create one, so you post is just in time for me. BTW, I am also starting a new website, should I wait until the site is complete before installing the site map, or can I do it at any time? It’d be better if you finish creating all of your pages first before submitting your sitemap Glens, it’s more systematic and plus, the traffic you’ll get would be higher than if you were to submit one by one. Thanks for the kind words, appreciate it! Awesome Jayde, glad I could help! Great article, I knew the XML Sitemap is important, but never knew how much importance it has, Also explaining the problems you could have with it, will help, since I just know that whenever I will place it, there will be a problem, knowing my luck. You’ve encountered many problems when placing it? Yes Emmanuel, and I’ve listed down those problems too on my article. Correct me if I am wrong but a sitemap is not just used by Google but by other search engines as well such as Bing which I believe is still used by more than 20% of people for their searches. Submitting a sitemap is good to be found by the search engines but not enough to rank high in their results though. Thank you for recommending Wealthy Affiliate for more SEO practices. I have heard it is quite solid and legit and I am going to definitely check it out. Thanks for the suggestion Xaric! You will definitely see an extensive tutorial of submitting a sitemap to Bing soon! This is a very great article, since I was struggling to get my site and posts indexed by Google, I heard about the Sitemaps, however, didn’t knew it was so important. One question, what if you did your post, but didn’t put pictures yet, will Google index it or not, or faster or slower, even when using the Google Sitemaps? I will use your guide to install Sitemaps on my site, thanks a lot! To Google, they do not see images as we do. Instead, they see images as codes and words so with or without pictures, the indexing speed is still the same. I missed this step too when I’m already halfway blogging so it took me a while to learn. My friends were surprised too that I somehow overlooked the sitemaps submission part but all good now, and better than ever! Amazing how you managed to take this topic, which is usually pretty hard for a lot of people and made it so easy to understand! I love the step by step guide and the video’s for when you still don’t understand! I also liked what you did with the 5 main problems, looking at that will help a lot of people already, who would have struggled for a long time. I do have 1 question though, you say we don’t need to do this for all the other search engines because you clicked the boxes. But isn’t it smarter to do that anyway, because you will get more detailed insight in your visitors, keyword searches etc. if you submit it on for example bing webmastertools too? you’re more than welcome to do so! I only mentioned that if you do not want to do that, it is still okay because Bing will still pick it up but at a slower pace. Sending it to them will get a much faster indexing. I am so glad I found this. I was really intimidated about these steps when I started building my website. I searched and searched and got confused since each resource I found only gave part of the process. This is the most comprehensive guide I have seen that gives step by step instructions and shows options and possible glitches as well. This is great! I will bookmark this for future reference. There are a lot of great tips here! Awesome Jessica, glad you liked the guide! I didn’t want other people to go through those annoying glitches so I added some solutions in case those were to happen. Cheers! I used to use the Google plug-in but now I just use the All-in-one SEO plug-in for my sitemaps. I was unaware of there is a website that you can use as well for sitemaps. That’s cool but I’ll stick with the All-in-one SEO plug-in for now. I’m sure you know the all in one SEO plug-in as many other cool features for SEO too. I always thought an XML sitemap was all technical and had no idea this would help with my business. My online friend told me I needed one if I wanted to look trustworthy in Googles eyes, and after reading this article I think it’s a no brainer especially because it helps with rankings and it’s not even hard to setup and activate! Thanks for this thorough guide my friend. Pleasure’s all mine Brandon, glad the article interests you! Thank you for this very informative post! I learned so much by reading it. I thought I knew exactly what it was but I’ve now learned something new. I’m not the most clued up person when it comes to these technicalities regarding Websites, so I find posts like these invaluable. Is this dynamic or fixed? What I mean by that is, does Google change the way they rank Websites or is this a fundamental thing that never changes. Their fundamentals are still the same Angelo, just that in some updates, they added a few more criteria so that other bloggers like you and me who create good content will be able to rank much better. Now that is what I call I detailed and very well explained article. I am beginning to understand now how and why WordPress .org blogs rank better than wordpress .com sites – the ability to install plugins that enable the use of sitemaps. I’m not an expert here..but is having google XML sitemap plugin and All in one a little bit of overkill? I have my site map generated by All in one seo plugin and actually removed the Google site map plug in. I done that as I was afraid one would trip the other up as they are doing the same job. Correct Derek! It would definitely be an overkill, but some WordPress themes would cause some interference on the sitemap part of All-in-one SEO. When you can’t send a sitemap on All-in-One SEO, Google XML Sitemaps can be a great alternative. Thank you for a very clear insight on how to set up XML Sitemap. To be honest, this is quite a confusing topic many people think its nothing and tend to ignore. But you have managed to break it down in a very simple form anyone can understand and apply. You’re welcome Richard, it is a simple topic but once you’re stuck on a step, it’s a nightmare to move on. You’re very welcome Michael, glad I could help! Great information. I especially like your analogy of the beehive. It sounds much more organized and purposeful than spiders running all over the place! I also like the step-by-step directions you provide along with graphics. It makes it easy follow and to take the right steps. The Common Problems section was also quite helpful. Awesome to know that you found it helpful Nanzy, that was the plan! I was reading tons of guides but I find them too difficult to understand with more technical jargons that I have never heard so I created my own so that it’ll be easier for others to absorb. Hey Riaz. This comes right in the nick of time for me, because I have recently heard about fetch and sitemaps. I recently came to know that you could get indexed and ranked faster by submitting a new sitemap. So I found this very helpful. I can now go on to create my Google Console account and out this into executions. Thanks!!! Glad I could help Reyhana! Definitely right on the sitemap thing, you’ll get a healthier ranking when indexed and you can submit your sitemap again after a month or two if you’ve updated all your contents for an extra boost. Cheers! Hi Riaz, this is the article I was looking for, because till now am still having problems with Google console and submitting a site map. Everyday I educate myself about th e site map and Google webmaster tools and your article has been very helpful. Am going to follow your instructions and see if I can submitt my sitemap of my another website. Pleasure’s all mine, glad I could be of help Angie! Let me know how it’s going for you. Simply great post and very informative. Just last week I had the training for a sitemap and I have installed the same plugin. I like that you described common problems with sitemap (personally for me it’s very useful). I think all beginners will be happy to find your post on google as it is a proper step by step guide including the possibility to solve problems. After all its great you have mentioned as well SEO, after instaling sitemap, many people will be curious about the next step and how to optimize their sites. That’s the plan Halyna, glad you found it helpful! It was really frustrating for me to solve my sitemap issue so I did some research along with some personal trial and errors, and wrote everything I know here. Thanks for dropping by!